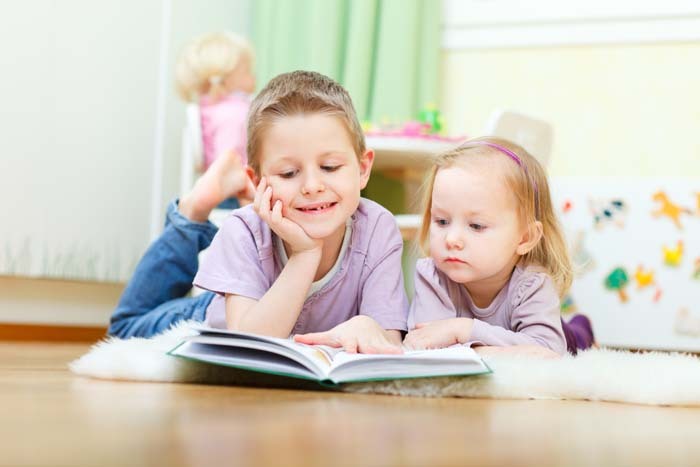 Does early reading give your kid a head start? Books can engage a child’s imagination. Young children are usually always eager to learn how to read. You’ll often find them sitting with a book and pretending to read. That’s what Kaden used to do when he was about 2 years old. He would grab a book, sit quietly in a corner, and browse through the pages intently. It almost looked like he’s reading! Even though I know he’s just focusing on the illustrations and not the words. He has a fascination with books since he was a toddler. By teaching your child to read before he is even at a school age, you can give your child a head start. Some studies have shown that there’s an achievement gap between kids who read and kids that don’t. How Does Early Childhood Reading Help? When your child learns to read at a young age, it gives her a better grasp of communication skills. She’ll be able to communicate easier and with more clarity, than she would if she wasn’t an early reader. By reading at a young age, your child will learn to comprehend the letters of the alphabet and it will help her see the link between the alphabet and reading. She’ll be able to say the letters, which in turn will be useful to her with spelling and grammar later on. Frequent reading helps your child pick up new words faster. Studies have shown that kids who read at a young age not only have better spelling skills, but do better overall when they start school. When kids are younger, they can quickly pick things up when the words in a book are in sing-song fashion or in rhyming fashion. For example, when a child sees something like “The cat in the hat sat” he learns how different words can sound when just the first letter is changed. Make learning how to read fun for your child. You can make a game out of reading, such as having your kid look out for familiar words as you’re driving in the car, or on products that you use around your home. When you read to your child as he first learns how to read, make sure that you read the same book repeatedly. This helps a child retain how certain words are sounded out. Like with any skill, reading takes practice. So you want to make sure that your child is reading something every day. Take him to the bookstore or to the library and let him pick out some easy-to-read, fun books. He’ll learn to enjoy the outing and he’ll look forward to reading. Children who begin reading at a young age are more likely to develop the habit of reading as they grow older. Children who read develop better study skills and a greater sense of self-esteem. By instilling in your child a love of reading, you not only give them a head start in school, but it can also help them do well in other areas of life. Reinforce your child’s reading habit every chance that you have. So early reading does matter. What’s your thoughts on early childhood reading? Do you think it matter, help or give your kid a head start? 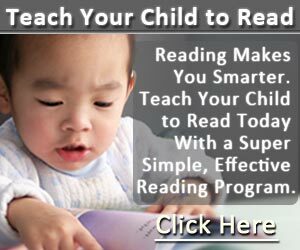 ← Does Early Reading Indicate Intelligence?